It's no secret that we are book-mad here in The Bishop Household. We own so many books, especially children's books, and my kindle is full-to-bursting with titles I've read or are on my 'to read' list. As an English Literature graduate books and literature have always been a huge part of my life. This year I pledged I would work harder to read more books as since becoming a parent I had been struggling to find the time to read like I did pre-kids. I set myself the target of reading one book per month for the whole of 2015 and so far, ten months in, I'm on my 12th title! I love it when a plan comes together! You can read more about my 'Reading Challenge' here. It's no surprise then that Bert is growing up to be quite the book-worm. 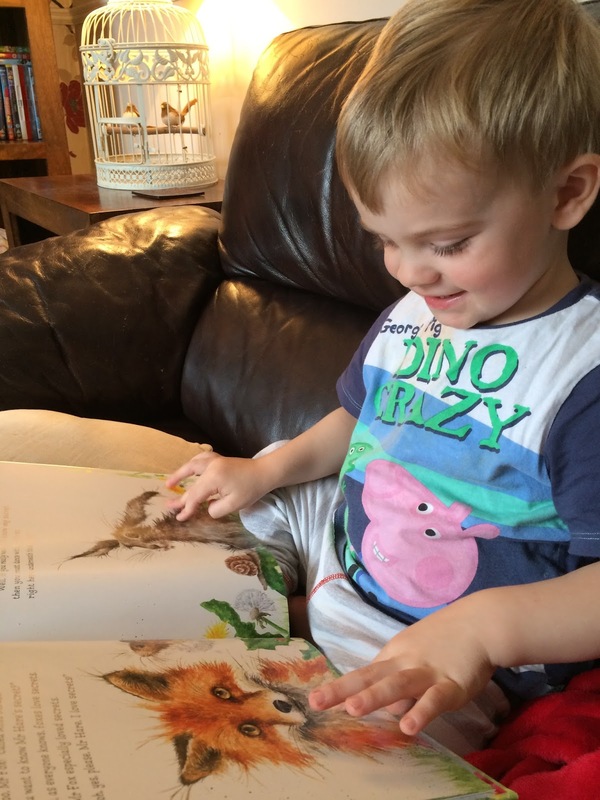 At 2 years and 2 months old he already owns around 100 books, and can regularly be found huddled up with a large pile of his favourite titles - slowly flicking through the pages, looking at the images and shouting out the words he knows for the pictures he recognises. He's especially fond of books about animals. 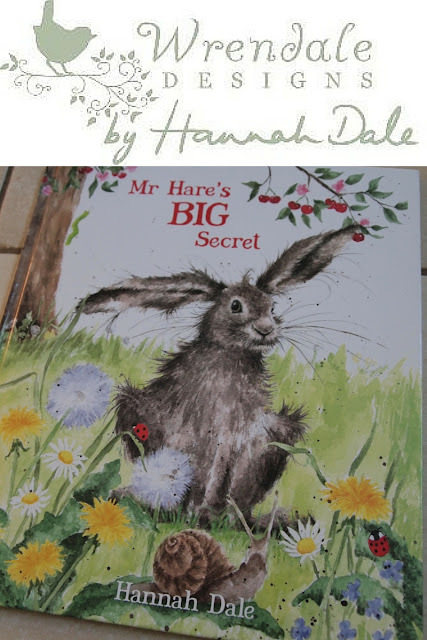 So when we were sent the beautiful Mr Hare's Big Secret by Hannah Dale from Wrendale Designs (priced at £11.99) - we couldn't wait to get stuck in! Little Bert enjoying his beautiful new book! You'll all know already that I am a huge fan of Wrendale Designs. Hannah's artwork is so unique and I love the energy and movement she manages to capture in her paintings: they transfer effortlessly to giftware, cards, prints and stationary - and now I'm happy to be able to share her first children's book with you. This beautiful large hardback book has been exquisitely illustrated and tells the enchanting story of cheeky Mr Hare who is hungry and wants to get at the cherries on the tree - but he can't do it alone, so the cheeky trickster persuades his friends to dance with him under the tree until all the cherries fall to the ground. The story is wonderfully repetitive, making it perfect for little ones, and the images are so detailed - every time we read the book together Bert and I noticed new things in the illustrations. 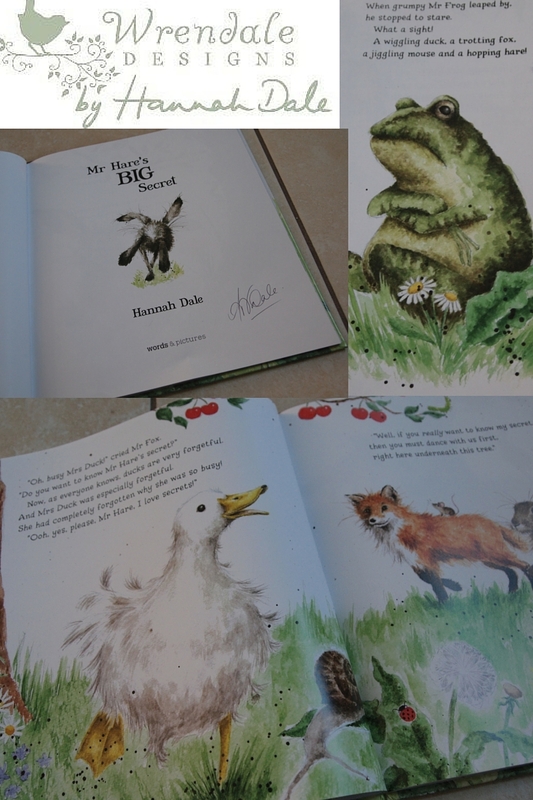 Since we began to read this book together Bert's vocabulary has grown and grown - he is learning new words every day and now he's confidently added properly pronounced hare, fox, snail, owl, mouse frog and duck to his vocab thanks to Hannah's wonderful characters! Go Bert! Stunning artwork makes this book a total pleasure for both children and adults alike. Bert enjoys "reading" the book by himself just as much as he does when I read the whole story to him - the pictures captivate him enough to see him turn slowly through each page, naming the animals and enjoying their antics on the page. We will treasure our signed copy for many years to come! The lovely kind people at Wrendale have kindly offered to giveaway one copy of this stunning book to one of my lovely readers. So, if you'd like to be in with a chance then just enter via the Gleam App below! Good Luck! Bert is so beautiful!! My youngest is probably a similar age. 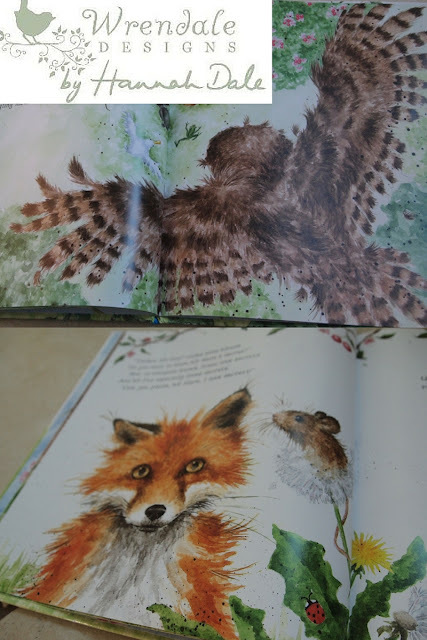 I love little boys <3 This book looks gorgeous too, I realised as I popped onto their Facebook page that my mum owns a lot of the kitchen items (she has the boys treats in a Wrendale tin) but I didn't realise that there were books too! She will love knowing this!